MSDOS 6.22 Computer SIB-EB33J | EMAC Inc. 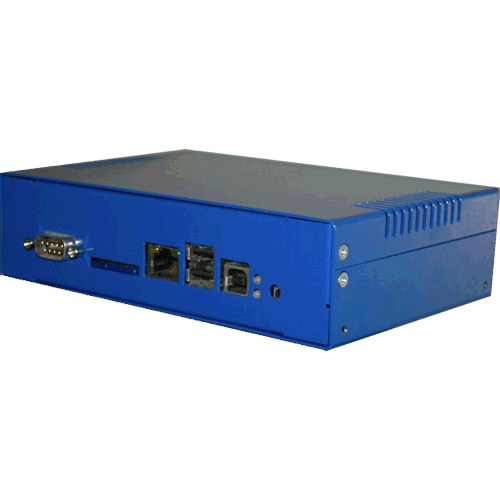 The EMAC Low-Power Server-In-a-Box (SIB), is a low cost, small footprint, yet powerful Server. 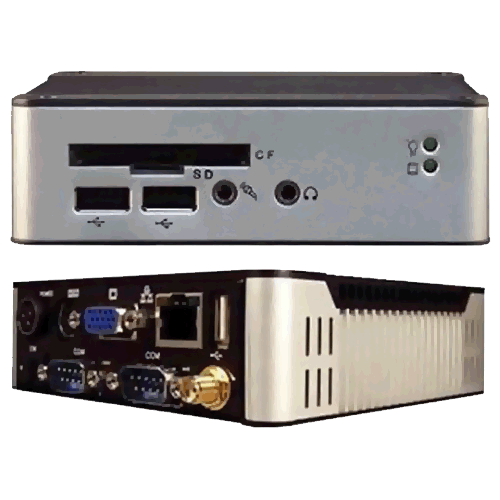 The Low-Power SIB utilizes the Atmel ARM Cortex A5 ATSAMA5D35 536Mhz fanless processor allowing it to run Linux with available RTOS. 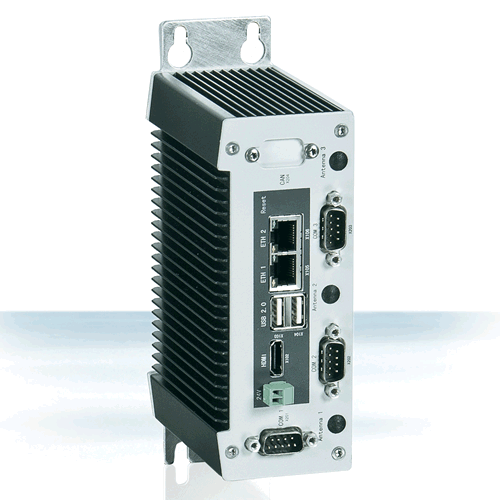 Like all SIBs, the Low-Power SIB has no moving parts and features a rugged enclosure design making it an ideal choice for most industrial applications. The Low-Power SIB is designed as a light industry server, but it is just as comfortable in a basement wiring closet, in a factory, or sitting on a workbench. The SIB-EB33J is a revolutionary device which is especially designed for limited physical space and temperature concerns. No matter you are in a jammed office, a crowded place, or public transportation, it can be easily integrated with a VESA LCD to bring you SIB-EB33J access at any time. It can attach to any VESA mounting fixture, allowing it to be securely mounted onto desks, walls, or buildings, and thereby optimizes your work area. It can also attach directly to any size LCD for a mobile system for the use at trade shows, presentations, promotions, etc. Unlike traditional portable laptop design, the SIB-EB33J can be used with a large size LCD. Furthermore, with FANLESS design, SIB-EB33J is ideal to be used in the environment where temperature demand is critical. So, if you are looking for a device that is able to provide you with more mobility & space but at the same time uses less power consumption, then eSIB-EB3RJ will be surely meet your need. The VESA® FDMI™ Standard defines mounting interfaces, hole patterns and associated cable/power supply locations for LCD monitors, plasma displays and other flat panel devices. SIB-EB3RJ is designed to fit this standard to make monitor attachment quick and easy.